There are a few beauty things that I am really bad at, one being looking after my hair. It never really occurs to me that I need to look after it, a trip to the hairdressers only happens when I have time and can remember. Products wise, I don't tend to use many things due to not knowing what is best for my hair and what isn't. 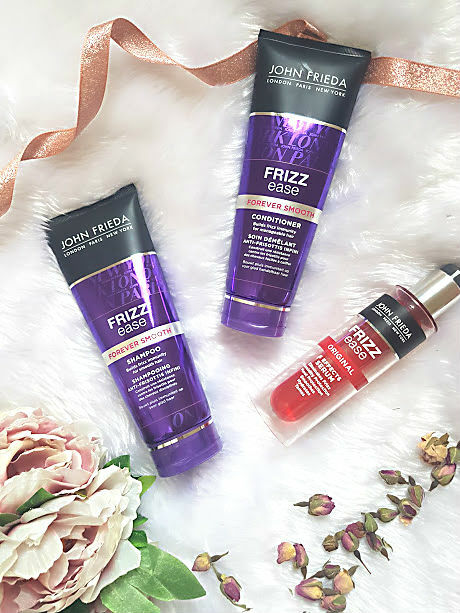 These past few weeks, I have testing out three products from the John Frieda Frizz Ease range*on my very straight, thick hair. Who knew that frizz targeted products would actually help and make a difference. As far as the shampoo & conditioner go, they smell amazing. 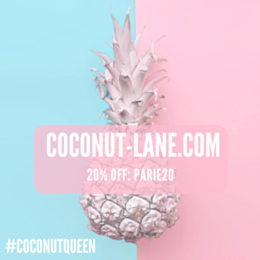 They are the key parts of the range and the products that do the all important job of cleaning your hair and combating frizz. Both of them have a very thin consistency yet a little goes a long way. The shampoo lathers up nicely and deeply cleanses your hair, then the conditioner which I only use on the ends of my hair has been life changing. Immediately after applying and washing out the conditioner, my hair feels softer and silkier. Using this consistently has definitely improved the frizz that my hair produces, I get no static pieces after straightening and can go three or four days without washing. The final product in this frizz fighting trio, is the serum which claims to fight six common issues that we all experience with our hair. After washing hair, applying a small amount of this serum through the hair acts like a base for the heat that will be applied. It claims to eliminate frizz, protect against humidity and hear, smoothes, hyrdates and tames the hair. After conditioning my hair and then applying this serum, I was a little scared about my hair going greasy but no such thing has happened. It adds an extra boost of silkiness and the heat protecting feature is amazing as I never use such thing, oops. I am so impressed with this entire range and need to start getting back ups for when I run out! Also, have my eye on the styling foam for when I am wanting a bit more texture yet still be frizz free.